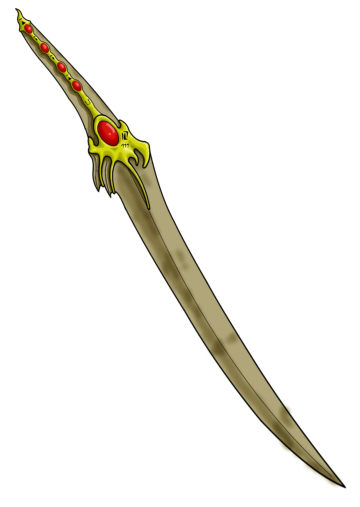 One of the weapons found by Ja’Deir in the volcano Y on the island of Y-Oda. This group of weapons was referred to by CrIsis as the Y Weapons. 10 inch long bone blade looks like a curved dragons tooth, gem encrusted hilt. Sharpened to metal blade thinness on both sides. Hilt has runes in between the gems, very fancy.